I'm so excited to share Rowan's birth announcement with y'all today! I used Minted for our Save the Dates and multiple Christmas cards, so it was only logical to use them to send our kid's cute face to all of our loved ones. True to form, the quality was perfect! I was debating between a few options (see them all here!) but ended up loving the On Display announcements the most! I just loved the classic look. 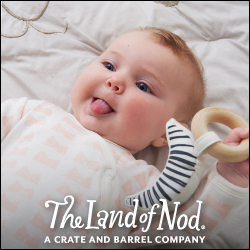 I used Minted's free recipient addressing option which made this new mama's life infinitely easier. I can't recommend it enough! We already had the addresses saved in our account from using the free addressing with our Christmas cards so it was a breeze, but Minted makes uploading them really easy too. I also added our return address so it took me less than 10 minutes during one of Rowan's naps to get these ready to mail! 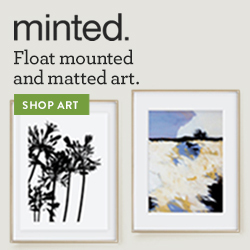 Lucky for you guys, Minted is generously giving away $150 to one lucky reader! You can use it on birth announcements, foil-pressed stationary (love this Paris inspired option! ), or even some Easter photo cards! One winner will be selected next Thursday, March 26th. Good Luck! Disclaimer: This post is sponsored by Minted. As always, all thoughts and opinions are my own! For our privacy, some of the details on the annuoncements have been blurred out with my amateur editing skills. Linking up with East Coast Chic and Home of Malones today! Expecting our first in May! Winning would help announce his arrival! I would either use the gift certificate for birth announcements or nursery art. Or maybe both! Your announcements came out so beautiful! We're expecting our first in the fall, and I love the Graceful Entrance birth announcements. I love your announcements!! So classic and adorable. I could definitely use the $150 towards our birth announcements here soon and it sounds like they make it so easy too, which I love! Perfect! We were so caught up in Max's "newbornness that we totally forgot to send birth announcements 😂 but I think Minted save the dates will be perfect for when we lift out of parenting fog and set the date haha! would love to win this for our July announcements! I would save for Christmas cards or buy some minted art. I gave my mom one of the heart collages for Christmas and it was beautiful! Such a sweet announcement! I love how classic it is. 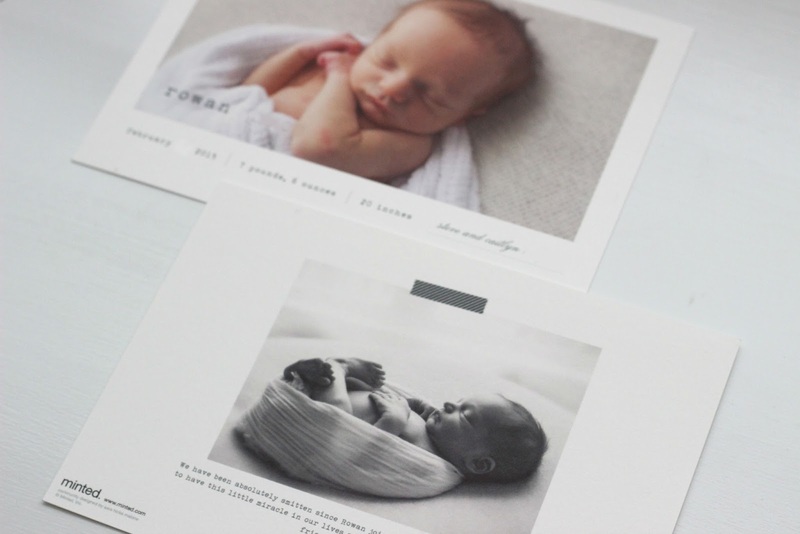 The birth announcements are so stinking adorable!! Minted always has amazing cards. I'd want to use them for our Christmas cards this year! Oh my gosh, these are seriously the cutest and I love the photos you chose :) If I won, I'd definitely use the credit for a bridal shower I'll be hosting in a few months! Miss Mabel will be here in May! I'll be needing some birth announcments, for sure! I absolutely love their fabric!! My precious little one will be here in August, so I'd definitely put the $150 towards birth announcements (love the Simply Classic ones!). I'd get some foil pressed stationary! I would buy the Pink Lemonade Day Planner and Notebook, and Milk Glass Cake Plate. I did our Christmas cards through Minted and was SO PLEASED with how they turned out! I would definitely do that again! What a little sweetie! Congratulations! I would definitely order birth announcements! We are expecting our little boy in May, it would be perfect! 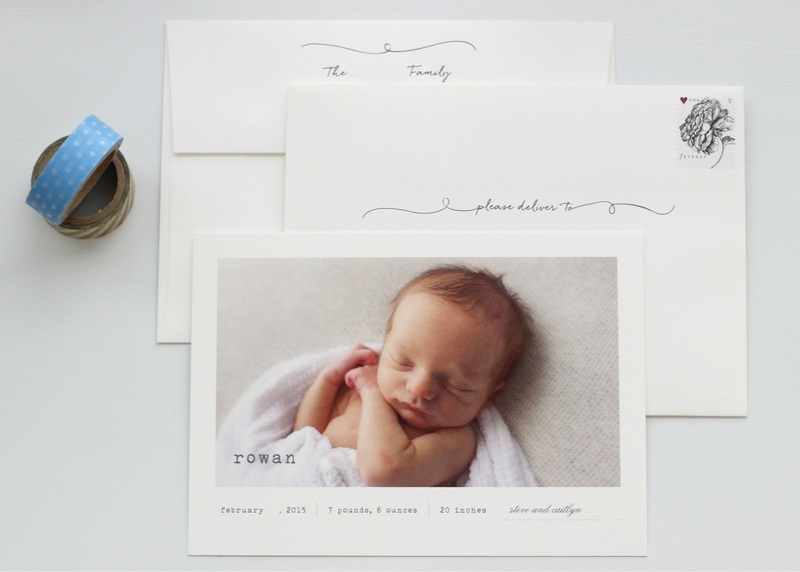 The Sweet Type birth announcements are adorable! I would buy wedding invitations! I'd love some foil pressed stationary! Congratulations, love his name! If I won, I would get the Gold Painted Snapshot Birth Announcements for our little arrival in June.